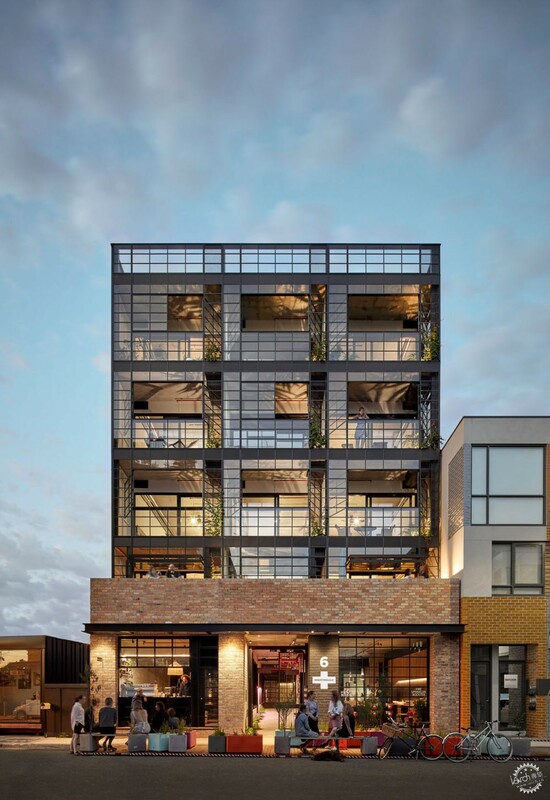 Breathe Architecture has completed an apartment building in an inner-city suburb of Melbourne, with metal-framed winter gardens arranged along its street facing facade. Nightingale 1 was developed by Breathe Architecture on a site located alongside another building it designed called The Commons, where the studio is now based. The building represents the first completed example of a typology created for housing provider Nightingale Housing, which aims to develop residential projects "that are financially, socially and environmentally sustainable". 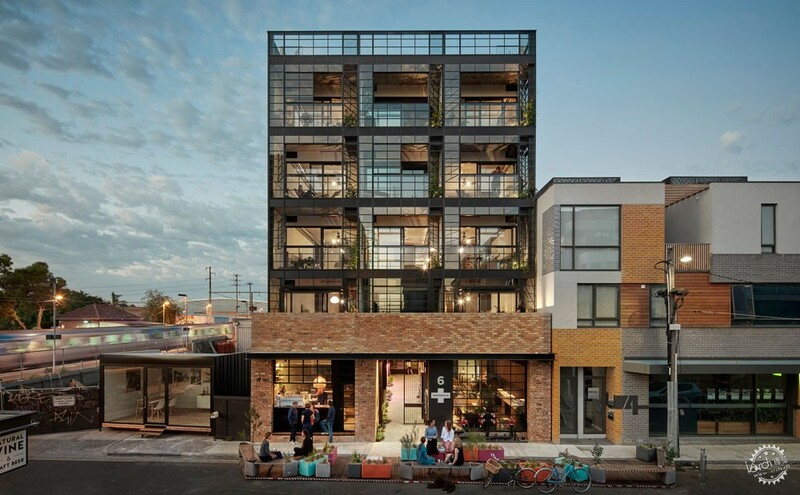 Located in the industrial and cosmopolitan Brunswick neighbourhood, Nightingale 1 is designed to provide affordable housing and was informed by input from the end users. 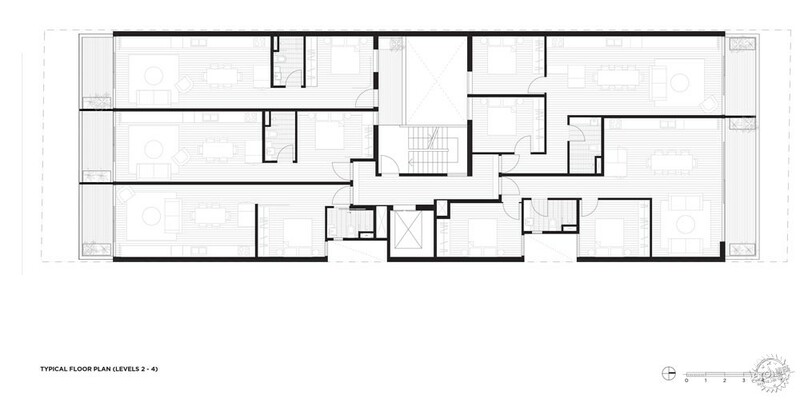 The building's simple composition of geometric volumes and pared-back material palette are also influenced by the appearance of the area's existing urban fabric. 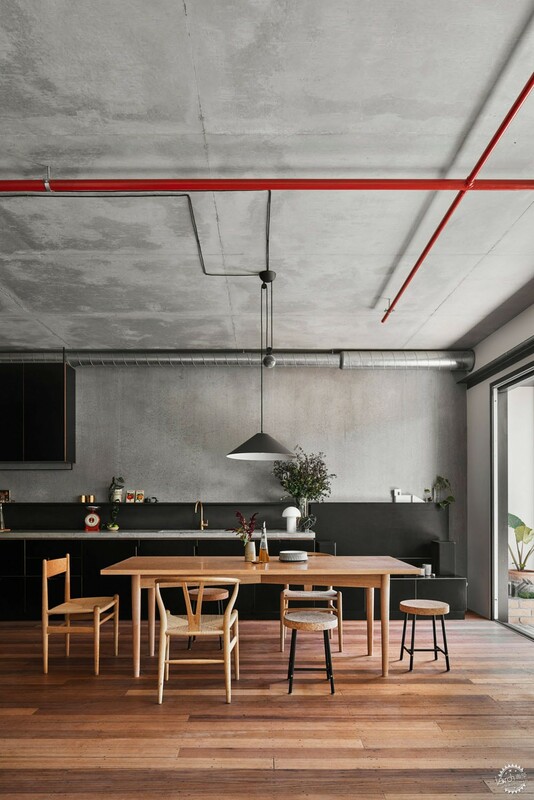 "Nightingale's form is a simple response to Brunswick's industrial heritage," explained the studio, which was shortlisted in the Housing Project category of the Dezeen Awards. The building's main facade is fronted by a series of winter gardens – balconies that can be fully enclosed by glass. 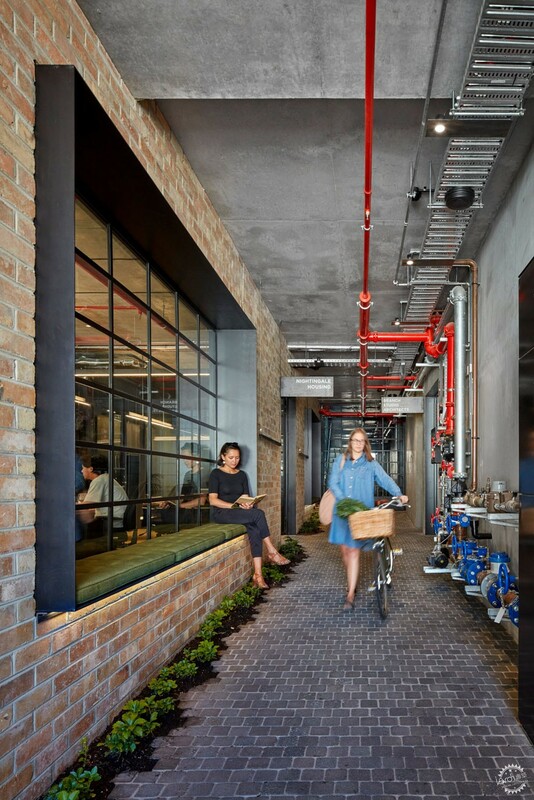 "Its steel-framed winter gardens respond to traditional warehouse characteristics whilst its recycled cream brick responds to the single storey single brick warehouses that once populated the vicinity," the architects added. The project seeks to engage with the local community and features a cobbled public laneway flanked by walls of recycled brick that enhances its connection with the street. 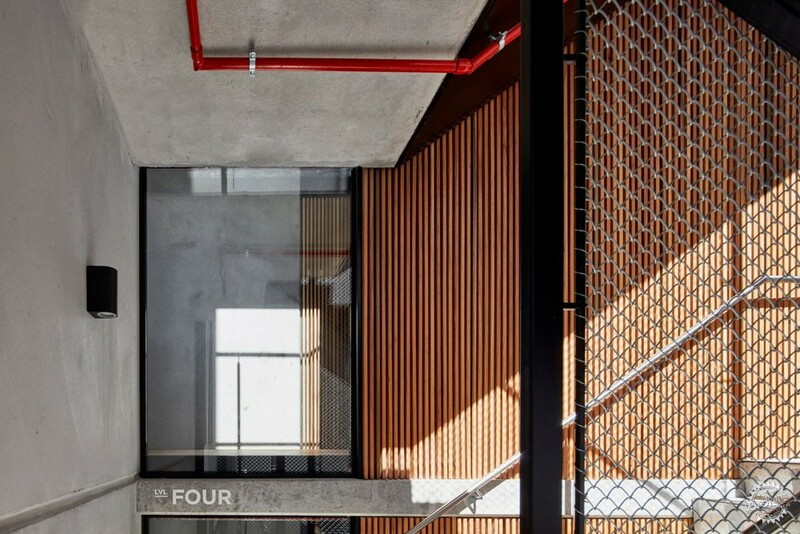 Seating nooks lining the recessed windows along the laneway encourage the public to linger and interact with tenants occupying the ground floor, which include an architecture practice, a not-for-profit organisation and Nightingale Housing itself. 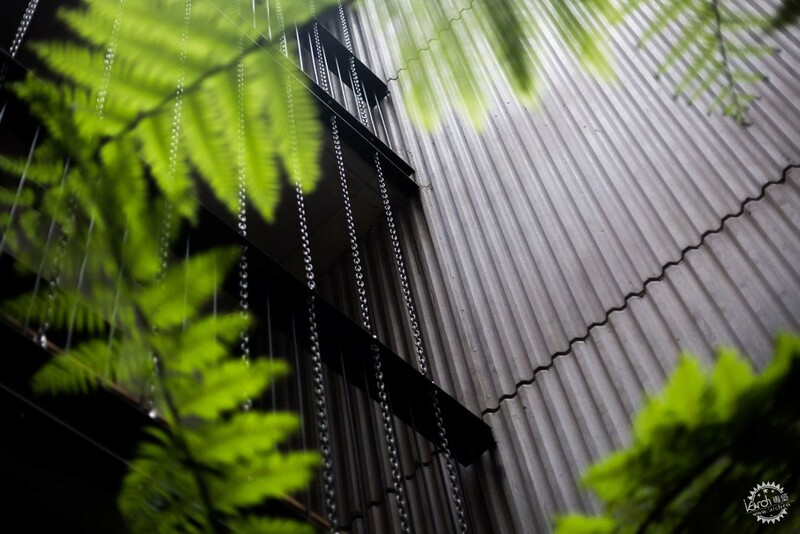 The passageway extends deep into the building, towards a circulation area that overlooks a lush fernery through chainlink screens. Materials used throughout the project were chosen to ensure a sense of consistency that prioritises simplicity, honesty and function over form. 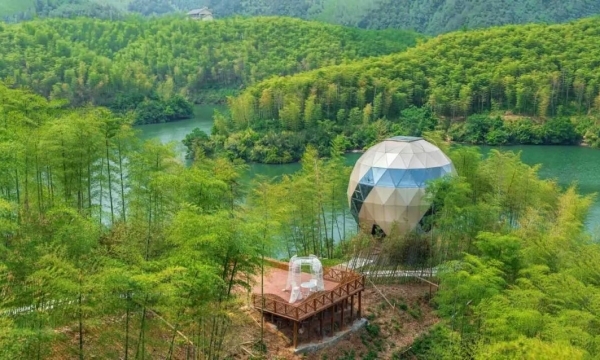 "The design strategy was to build more with less, adopting an honest material palette and placing emphasis on reduction," Breathe Architecture explained. 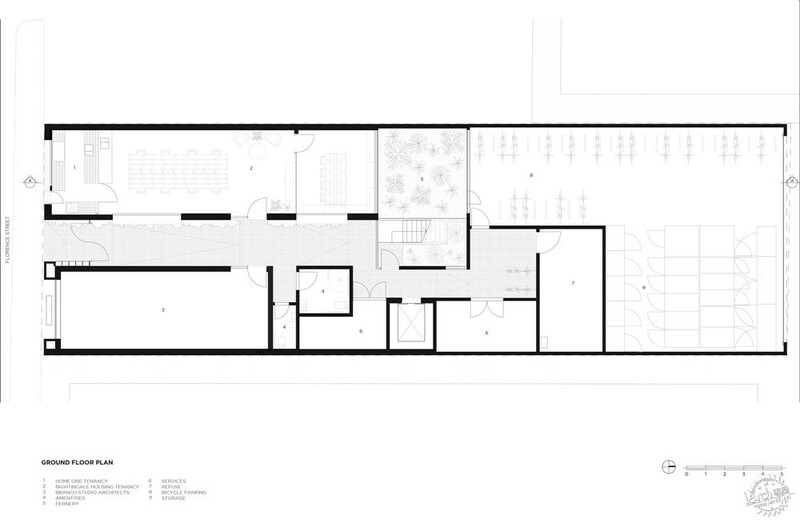 "The planning was kept simple, and materiality took precedence over form." 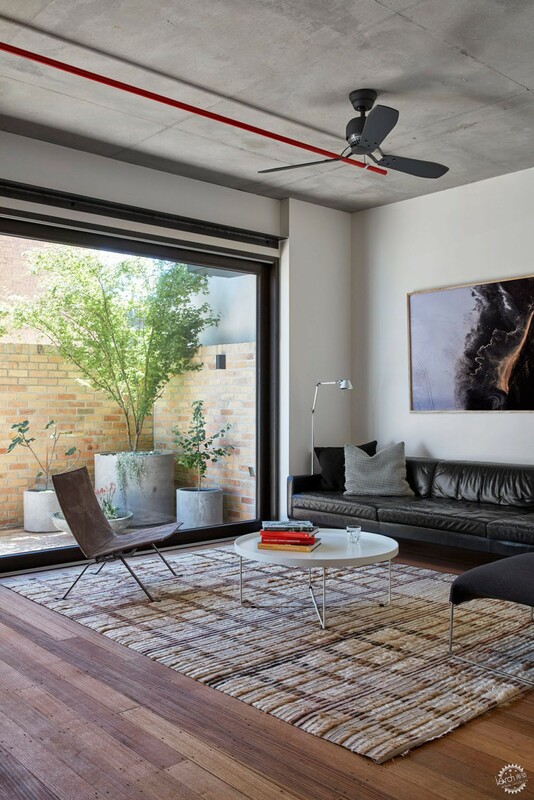 Shared spaces such as lift lobbies also feature untreated blackbutt timber battens, mild steel panels and coir matting, while the apartment interiors are defined by the use of waxed-timber floors and concrete ceilings with exposed services. 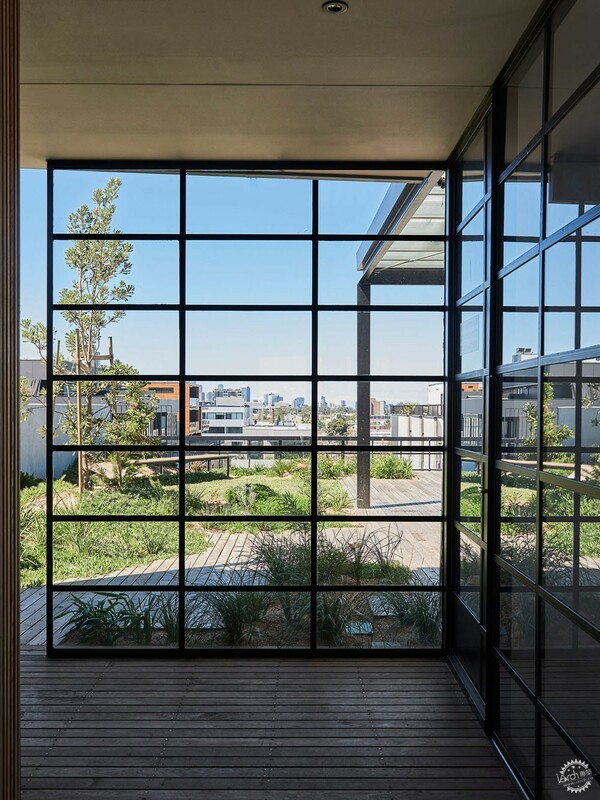 Steel-framed glazing lining the apartments on the southern side of the building evokes the crittall windows of traditional warehouses in the area. The northern apartments are fronted by mesh screens that provide a framework for deciduous grape vines to create shade during the summer months. 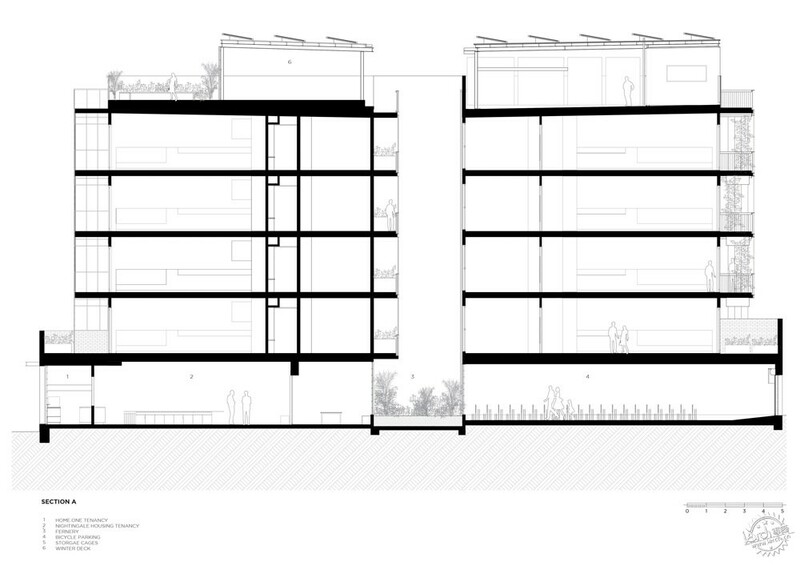 The building's decked rooftop is divided into two terraces with distinct functions. 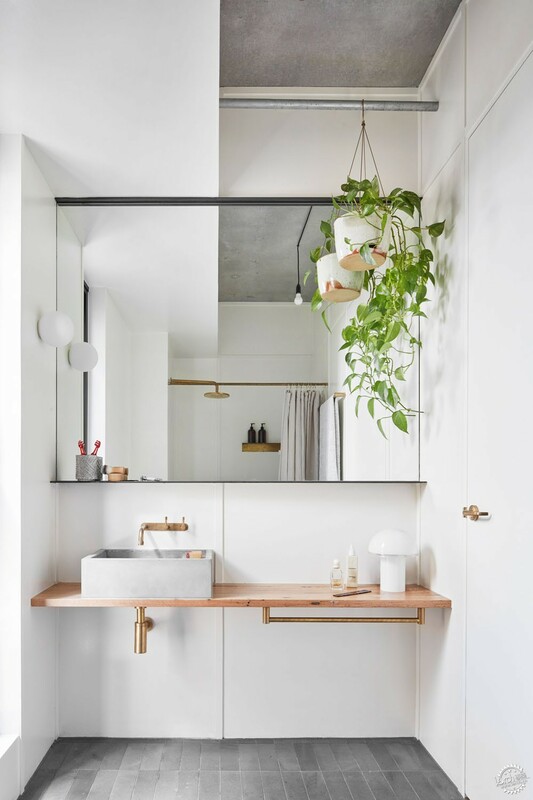 The first is dedicated to utility purposes and accommodates a communal laundry area, along with a clothesline, potting shed and planters for growing fruits and vegetables. The second part of the rooftop contains secluded seating nestled among carefully considered planting, as well as an outdoor dining area and a rooftop lawn for children to play. Breathe Architecture also transformed the former headquarters of Paramount Pictures in Sydney into a boutique hotel topped with a screen made from chevron-shaped copper panels.